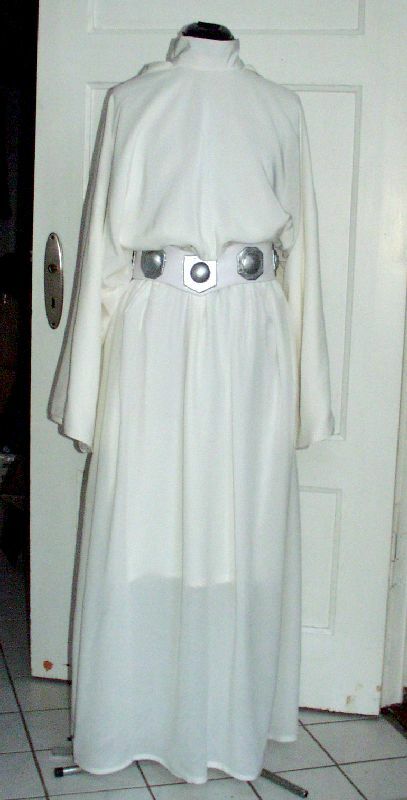 While this costume, made in Silk Crepe de chine, was not too demanding to make (and was therefore not really too interesting for me), I still decided to make it – though not for myself, Mohmoh, who also shows this dress on her Cosplay profile, had asked me for it as she needed it for an event. 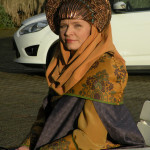 The original dress was probably made of some kind of polyester jersey, but as I strongly dislike such artificial materials, I have created it using – as already mentioned above – in Silk Crepe de chine with a cotton / rayon lining. 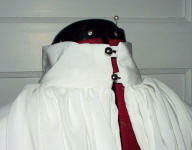 The last picture shows the dress from the back, the split hood is draped to the front to show the closure of the dress. The belt was made in Pleather with clay decorations, which I painted silver to give them a metallic look. I first planned to leaf gilt (or rather – silver) them, but then decided against it – the original costume did not have a belt with *such* metal decorations; they look rather matte – just like my painted ones. It took me some time to find the right buttons for the back closure, which I desperately wanted to match the belt somehow – and I think I managed this. 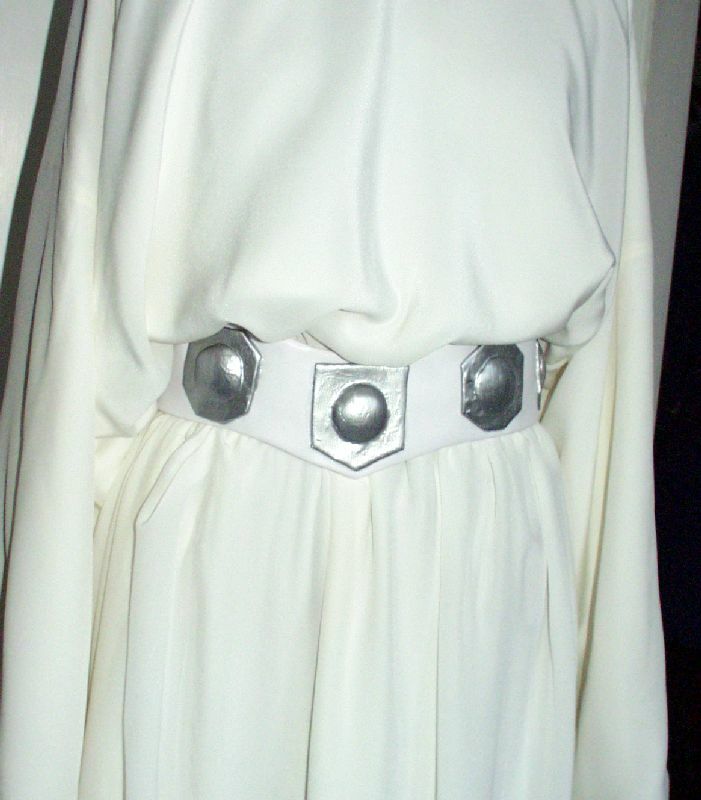 The closure on the original dress is, as far as I know, never visible as Leia’s hair is always over it. 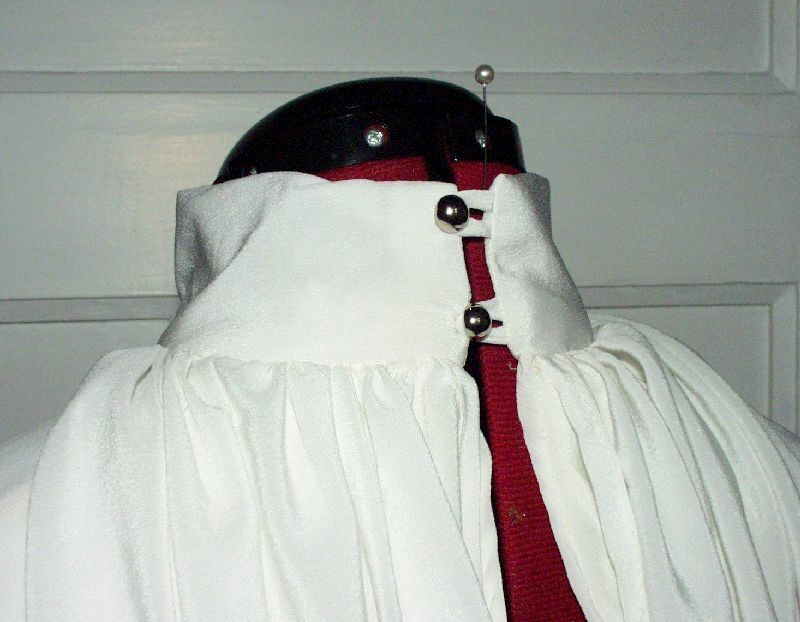 The dresses’ skirt is just lined half the way down – to the place where the outer skirt is split at the sides. Don’t let the pictures fool yourself – they were taken with a flash, so the slight transparency of the skirt is more prominent than it actually is.